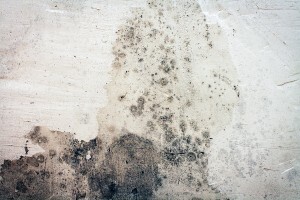 It’s important to call a mold removal company if you see signs of significant mold growth in your residential or commercial property in Atlanta, Georgia. Mold professionals have the knowledge and tools needed to locate mold, contain it, remove it, and prevent it from returning. Experienced mold inspectors know where to look for mold in a building and can have air samples tested to figure out whether there is unseen mold in the space. Once the extent of the mold problem is understood, containment barriers can be used to keep mold spores from traveling into other rooms. The quarantined space can then be placed under negative pressure, with an air scrubber removing mold spores from the air. Any items in the space that cannot be salvaged should be carefully bagged and removed. Surfaces that can be cleaned should be treated with peroxide cleaners and fungicides. After the mold removal work is done, any areas in your Atlanta, GA, home or business that are at risk for future mold growth should be protected with a preventative spray that will prevent mold from growing there again. If you are looking for a mold removal company in Atlanta, GA, that is known for its thorough work and phenomenal customer service, choose Abatement Solutions, Inc. We serve residential and commercial property owners throughout the area, providing comprehensive mold remediation services that solve mold problems and prevent them from reoccurring. To discuss your mold removal needs, contact Abatement Solutions today.